Tokwiro Enterprises ENRG issued a press release this past weekend, announcing that they had now concluded their "superuser" scandal investigation. The full press release can be found at the end of this article. Tokwiro said that they identified 19 accounts and 88 associated usernames that were used in the scam. Tokwiro also said that usernames were changed often to avoid detection, and that they don't expect to uncover any additional usernames. The full results of their investigation have been turned over to the Kahnawake Gaming Commission, according to the press release. Also, "refunds to affected players will continue", and another round of refunds will "move forward in the weeks ahead." The press release concludes with a quote from Paul Leggett, COO of Tokwiro. He says "We cannot over-emphasize the fact that Tokwiro and its entire management team had no knowledge of the illicit software until it was revealed by our investigation; and no one associated with Tokwiro was involved in the cheating scheme at any point." Our feelings on Absolute Poker and Ultimatebet haven't changed. We won't be playing on either of the sites again, or promoting them in any way. 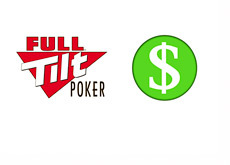 We have deleted any and all pages on this site (and any of our other sites) that promoted Absolute Poker or Ultimatebet in any way. Normally we'd provide a link to the press release on Ultimatebet.com, but we aren't going to do that this time. 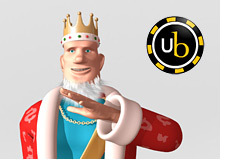 MONTREAL, CANADA - (July 25, 2008) - Tokwiro Enterprises ENRG ("Tokwiro"), proprietors of UltimateBet.com ("UB"), one of the ten largest on-line poker cardrooms, today announced that it has concluded the investigation into allegations of unfair play on UB's web site. Tokwiro has compiled complete forensic evidence including the IP addresses, devices, transfer and withdrawal histories, and names associated with the player accounts that benefited from illicitly viewing hole card information. The results of Tokwiro's internal investigation have been turned over to the Kahnawake Gaming Commission (KGC) and its auditors, as that regulatory body continues its independent investigation. These results are in addition to the data which Tokwiro has already shared with the KGC. Tokwiro has identified a total of 19 accounts and 88 associated usernames that were involved in the cheating, including the accounts that were named in Tokwiro's publicly posted investigation updates of May 29, 2008 and July 8, 2008. The same perpetrators that were previously identified controlled all of these usernames. There are no new perpetrators involved, only new usernames. Usernames were changed many times over the course of the cheating scam in an apparent scheme to avoid detection. Our complete list of usernames involved in the cheating scheme has now been turned over to the KGC, and the Company does not expect to uncover any additional usernames. Paul Leggett, Tokwiro's Chief Operating Officer, said, "Make no mistake: our management team is outraged that this cheating occurred on our site through illicit software placed on the UB servers prior to our purchasing UltimateBet. Tokwiro is aggressively pursuing legal avenues of redress in order to protect and compensate our players and the business. 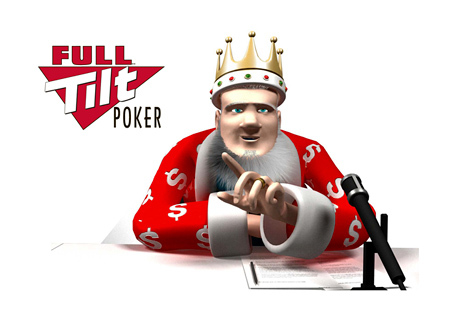 Rest assured that we will release more information to the poker community and to the public at large as we enforce our and our players' rights." "With respect to refunds to the affected players, we are continuing our analysis in order to determine the refund amounts. We will move forward with another round of refunds in the weeks ahead. 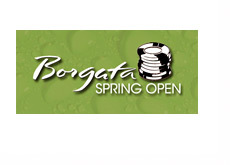 We thank the poker community for its invaluable contributions to this investigation and assure it that we remain committed to fully investigating any claims of fraud on our site," Mr. Leggett said. The investigation revealed that the perpetrators logged into the client software, using an account that had the ability to view hole cards. The ability of a specific account to view hole cards was enabled by illicit software that was placed on the UltimateBet servers prior to October 2006, which was before Tokwiro acquired the business. The account that was used to view hole cards never actually played in a game. Instead, the perpetrators used hole card information gained from logging in with this account while playing on other accounts, which thereby benefited from the cheating. The money won by the accounts that received hole card information was then moved around and off the site in a complex web of player-to-player transfers and withdrawals. This contributed to the complexity of Tokwiro's efforts to uncover the truth. Mr. Leggett concluded: "We cannot over-emphasize the fact that Tokwiro and its entire management team had no knowledge of the illicit software until it was revealed by our investigation; and no one associated with Tokwiro was involved in the cheating scheme at any point."